The OpenWRT project is about to release version 14.07 of their alternative home router firmware with many new features like native IPv6, support for NAND flash devices and a new web GUI. In this article I will provide a summary of the new features and a basic guide for choosing a supported device. As of today, considering features, price, performance and power consumption my recommended devices are the TL-WDR3500 and TL-WDR3600 routers from TP-LINK. These devices are for cable use only (no ADSL modem). OpenWRT is a small linux distribution targetted at home routers. These devices are actually small computers and OpenWRT allows to cross the borders of manufacturer firmware limititations. In addition to powerful web GUI users can optionally install open source software packages from the project’s repository. These include web servers (apache, nginx, lighttpd), proxy servers (squid, tinyproxy, privoxy), file servers (NFS, proftpd, samba), VoIP software (asterisk), security software (OpenVPN, tor), BitTorrent clients (transmission), programming languages (ruby, perl, PHP) and many others. In addition, a SDK is provided to compile any software of your choice. This makes OpenWRT a powerful Linux distribution for embedded devices. Your device must be supported by OpenWRT. You can verify the support status at OpenWRT Table of Hardware. In addition, please check if a firmware download is available for your router at OpenWRT downloads site. The larger the device flash ROM size the more software you can install on your router. The minimal requirement is 4MB with seriously limited storage space. Devices with 8MB and more should be sufficient for most users. You can verify the ROM size of your device at OpenWRT Table of Hardware. The size of router’s RAM has influence on system speed (caching) and on the amount of applications you can run simultaneously on your OpenWRT system. The minimum requirement is 16MB RAM. If you want to use additional software look for devices with at least 32MB RAM. You can verify the RAM size of your device at OpenWRT Table of Hardware. The type and speed of your device’s processor should be listed in the OpenWRT Table of Hardware. My device of choice has a 560Mhz MIPS processor from Qualcomm Atheros. If you plan to use your device as a ethernet router you may want to check the device’s port speeds. Current routers support 100MBit or 1GBit ports. These may be different for the WAN port and LAN ports (e.g. 100 megabit WAN port and gigabit LAN ports). Please consider that gigabit ports consume more power. OpenWRT allows you to combine your physical ports into virtual interfaces using VLAN groups. This way you can split and secure multiple networks. Today’s cheapest routers usually support only the 2.4Ghz band. 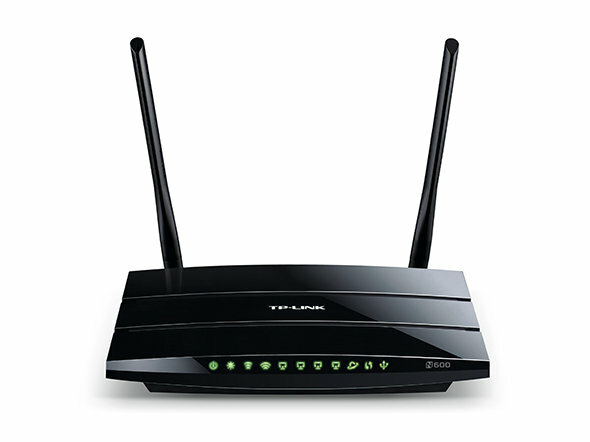 Better routers are dualband providing one 2.4Ghz and one 5Ghz network interface. With OpenWRT, you can configure all settings (wireless settings and security, vlan zones, iptables firewall) for each of these interfaces separately. At the moment OpenWRT support for 802.11ac routers is very limited. Many routers provide additional USB 2.0 ports (a few latest models already do USB 3.0). You can attach external storage, e.g. USB stick or a external USB hard drive to these ports. You can check the web or computer magazines for reviews of your router’s wired and wireless performance. As home routers are expected to run 24/7, power consumption should be considered, too. In comparsion, a Netgear WNDR3700 consumes about 6 watts and a TP-LINK WDR3500 only 2.7 watts per hour (one of the lowest power consumptions I have seen). Product pictures of home routers usually don’t tell much about their size. Some may be larger than you expect. If you have limited space you may want to check the dimensions of your desired device.